If you were to poll a random sample of local high school or college students about their career aspirations, not many would have electrical line work at the top of their lists. And truthfully, anyone considering a career in the utility industry would be wise to carefully consider this specific role. 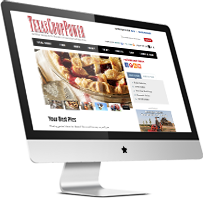 All our members enjoy a subscription to Texas Co-op Power. Readers have long told us that Texas Co-op Power is their magazine because it is filled with stories and features they care about—stories about Texans, food, travel, history, destinations and important issues, all in a package designed to help make our vast state feel more like one big community.